Call 903-569-1550 or 903-372-7119 for more information. Blueberry Ridge is an organic blueberry farm. The blueberries encompass five acres with three different varieties of blueberries. 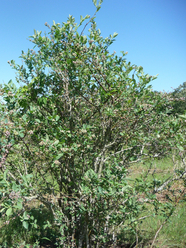 Our Tiff Blue and Climax bushes are very mature and stand approximately 12 feet tall. Six years ago, we planted some Powder Blue bushes and they stand about 4 - 6 ft. and are producing a very plentiful crop. This year we added a new variety, Premier. We also planted approximately a thousand new bushes this spring. 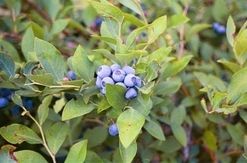 Below is a slide show of pictures taken of the blueberry bushes in April .